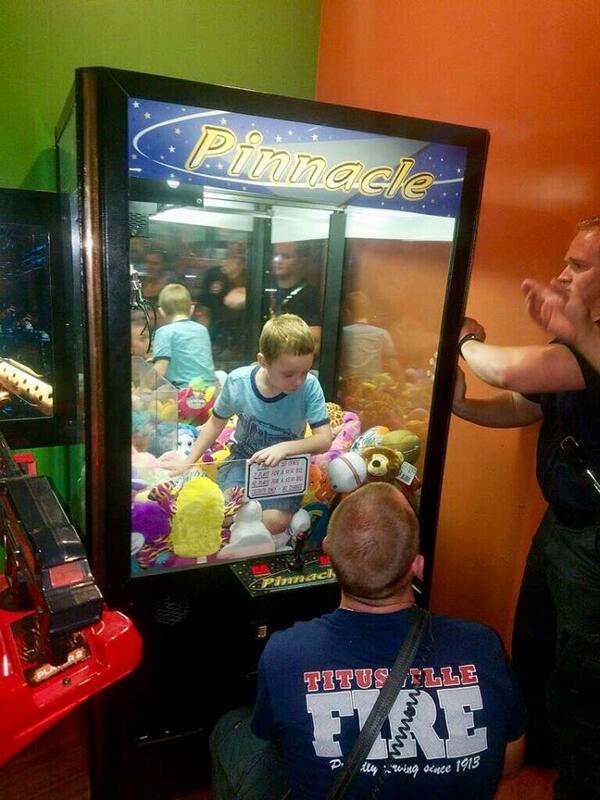 TITUSVILLE, Fla. -- A boy in Central Florida really wanted a stuffed toy from a claw machine, so he climbed inside to get one. He soon found out that getting out was much harder than getting in. Titusville Fire posted about the incident on Facebook, saying thankfully an off-duty firefighter was at the Beef O'Brady's restaurant where this happened. He asked for someone to call 911 and firefighters from a nearby station helped get the boy, named Mason, out in a short period of time. Titusville Fire wrote that after Mason got out -- he, his mom and friends went back to eating dinner.